However, if we look closely at the verse as well as the following verses, we will see that He was addressing the 'teachers of the law' and the Pharisees. Those that depended on the law for their salvation. He was saying that you can't just tithe and believe that you are now righteous. If you wanted to depend on the law, then you have to follow every letter of the law. He said they were hypocrites and pretenders because they were depending on the law. Jesus was making a point. He did not explain to His followers the importance of tithing or keeping the law. 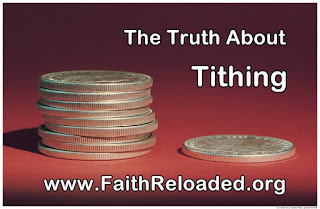 Tithing (giving a tenth of your income) is only taught in the Old Testament. 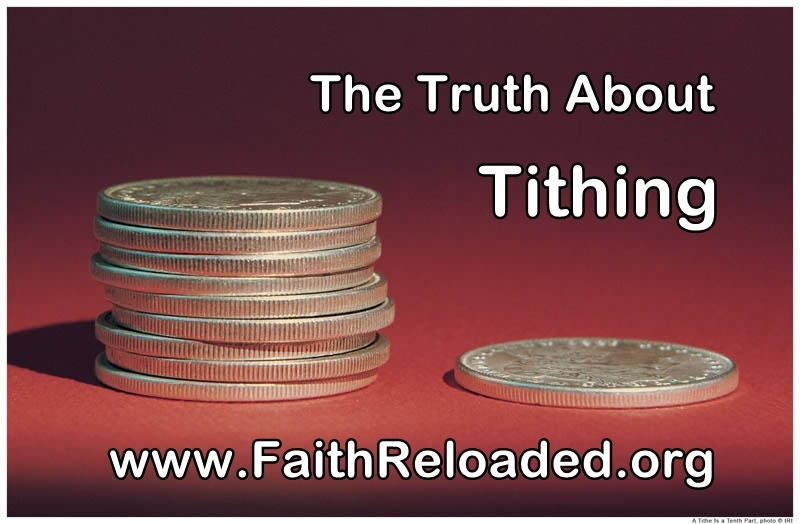 Tithing is part of the Old Testament law and Jesus purchased our freedom from the law. In the Gospel of Thomas, same as in Matthew 23, Jesus said that we should be true to who we are. 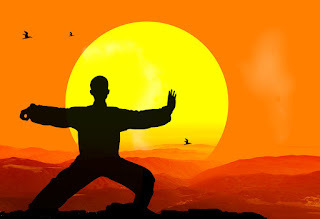 We should not follow a couple of rules and then pretend to be holy (to ourselves and to others). His disciples asked him and said to him, "Do you want us to fast? How should we pray? Should we give to charity? What diet should we observe?" Jesus said, "Don't lie, and don't do what you hate, because all things are disclosed before heaven. After all, there is nothing hidden that will not be revealed, and there is nothing covered up that will remain undisclosed." - Gospel of Thomas, saying 6. Jesus even goes further and say that we harm our spirit if we follow religious rules. Jesus said to them, "If you fast, you will bring sin upon yourselves, and if you pray, you will be condemned, and if you give to charity, you will harm your spirits. - Gospel of Thomas, saying 14. Jesus is not saying we should not pray or we should not give to charity - but if it is done as religious practices it is harmful to your spirit. We should help others as clearly taught by Jesus. Will God bless you when you tithe? You have heard the teachings. Give 10% of your income, even if you can't afford it, and God will bless you financially. You must have heard others testify how they were blessed after tithing. Tithing does work - some of the time - even a broken clock is right twice a day. If you give 10% of your income and believe that God will bless you - then you will experience financial blessings. Not because God is now satisfied with you keeping the Old Testament law, but because you believed you will be blessed. If you believe something will work for you - it usually will. It is like a patient taking a placebo and getting better because they believe the medicine is working. This is a principle that is being taught by motivational speakers or success coaches around the world. So, tithing really does work - some of the time and for some - if you can afford to give 10% of your income. For one person giving 10% means cutting back on luxury - going on a local holiday instead of an overseas holiday. For others, it means cutting out necessities like food, medical aid, etc. If you depend on a law you are cursed. Every month you give 10% of your income and you are blessed - because you believe God will bless you. Then something happens that puts you under severe financial pressure that month. That month you can't afford to give 10% and maybe you only give 5%. 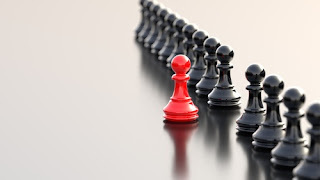 Not only are you already under pressure, but now you believe God will not help you because according to the rule of tithing, you are robbing God. Not only are you having a bad month but it is about to get worse - much worse. You are already struggling financially but now you also believe God will not bless you. Even worse, you believe God thinks you are robbing Him. The one time you needed your faith to come through for you - it is stabbing you in the back. The one time you needed your Father to be there for you - you think He is now thinking you are stealing from Him. Tithing is broken. Like so many other Old Testament laws. If the Old Testament laws were correct - Jesus wouldn't have come with a radically new teaching. A teaching that was so different and so radical that most Jews could not accept it. In a lot of churches you have to pay to go to church. They will deny it and tell you that you are under no obligation to give 10% of your income, but once you are in the church the pressure will start to tithe. They will tell you how you are stealing from God if you don't pay. How you are less of a Christian if you don't pay. Jesus made it clear - we receive the Good News, forgiveness, healing ... everything free. We are not allowed to charge for spreading His message or doing His work. That does not mean we should not support those who decide to spread the message of Jesus full time. There is however a difference between supporting someone that is doing God's work as you feel God is leading you and needing to pay a monthly fee. Giving financially in the New Testament was always a personal choice and not a rule with a determined amount. The more you give, the more you will be blessed. It is however not a rule. If you skip a month or you give less than 10% - you will still be blessed. God will bless you abundantly - but read that verse again - the 'cheerful giver that does not give under compulsion'. If there is a rule that says you must give 10% every month - then it is under compulsion. Even if you give a very small amount, but you give with joy - believing that God will bless you - then He will - because you believe it! Not only can tithing be bad for you - you are not following the teachings of Jesus and helping those in need. You are giving money for an organization and hoping they help those in need. But how much of that money is really being used to help those in need? Churches today are big business. If I can convince 10 people to give me 10% of their income, I get an average income. If I can convince 20, I get double the average income. How many people are in your church? No wonder they decided to keep the law of tithing even if they don't practice the other old testament laws any more. The money from tithing in the Old Testament was used for the temple. In the New Testament WE ARE THE TEMPLE OF GOD (II Cor. 6:16, I Cor. 3:15 and I Cor. 1:19). Money in the New Testament were divided between those who needed help. It was never used to build a big fancy church building and pay for the pastors overseas holiday and luxury car. Save money by managing your shop and cashiers with the best point of sale software. Without getting into a debate on other topics which you mentioned , I have some questions concerning your last paragraph; which usually summarizes the person's point of writing the article. I suspect you have had (a) bad experience(s) with different churches concerning your money (which is God's because He has given you everything and has made you a steward) Is this true? No need to answer me, ask yourself. Let's start at the beginning. Although it is not directly commanded or spelled out - Abel's offering pleased the Lord - Cain's did not. Cain believed his offering should have been accepted but it was contrary to the pattern God must have set for offerings. God set a pattern (before Moses' law) of tithing; remember Abraham gave tithes to Melchizedek , not a tithe , mind you but tithes of all the goods brought back by Abraham. I wonder who taught him to do that. True, tithes were used to support the worship center where the people gathered. I don't know where you went or are going to church; but in the churches I have been in, most of the pastors have to work and the money brought in is used to pay the bills and a small salary to the pastor. I know of some churches who use the money to support missionaries rather than taking offerings. True, we are the temple of God because the Creator of all things chooses to dwell within us. (unfortunately, most Christians keep Him locked up as a prisoner rather than allowing Him to live through us and us through Him) BTW, the body of Christ is not every Born Again Christian somehow lumped together - that is the family of God. There is no way every single one of us in the world can meet together in one place - but people locally can - that's why every reference to the Church is local. The bottom line is God made us stewards of the things He has given to us (which includes what we do with the Gospel, our money, our talents, our time, etc) Everything we do is by the motivations of the heart. As stewards, we can bury our talent or invest it wisely for our Master. We usually take up an offering to send Pastor and his family on a vacation - never take it out of the Churches resources.